If you haven’t got your mum anything special yet, Mother’s Day is this Sunday 31st March, look no further. We’ve compiled a list of the best mother’s day gifts to buy mums who want to look good – hair-related of course. The following presents you can’t go wrong with – but where do we think is actually the best place to buy your mum a present? Debenhams is offering quite incredible bargains at the moment. Maybe it’s the fear of Mike Ashley & the tyranny of Sports Direct taking over- but whatever, it’s great news for us. They’re doing next day delivery and discounting hair dryer and hair styler brands like crazy right now. Watch your back, Amazon! The Proluxe range by Remington is ‘pretty in pink’ and includes three gorgeous-looking styling wands, curling tongs and hair curlers. ALL are currently a third off : and all under £30 – a perfect price point for a gift for mum. 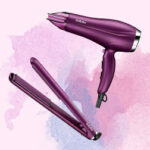 Alternative Mother’s Day hair presents we love are the Babyliss Glamoriser and Babyliss Velvet Orchid Violet ranges – available also at Debenhams. 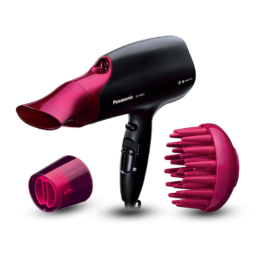 2 styling brushes, a superb value hair dryer and an extraordinary automatic hair curler, these are from £35 – £100. Stylish and sumptuous – nice for your mum as a pick-me-up treat. 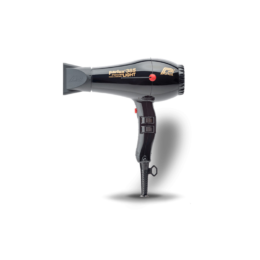 Their Velvet Orchid hairdryer is excellent value for money – a great hairdryer. The name sounds so indulgent, and even slightly naughty – maybe that’s just me! 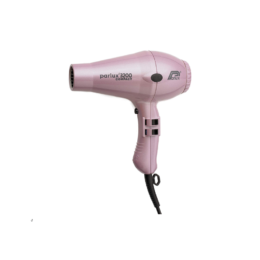 Anyway, it’s got 2300W power, and tourmaline, ceramic / ionic technology so at a £35, it’s a cheap hair dryer for what you get – looks expensive, works well and is a striking present for anyone. 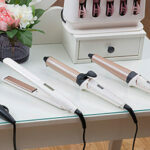 The Babyliss Velvet Orchid hair stylers are slightly more expensive – starting at £50 for curling tongs and wand, but the indulgent present if you really want to treat your mum on Mother’s Day. If your budget is a little smaller, then Boots is the best place for all things hair + mother. Boots have a brilliant range of lovely hair care, hair styling products and gift sets for Mother’s Day presents. And have a haircare sale on! 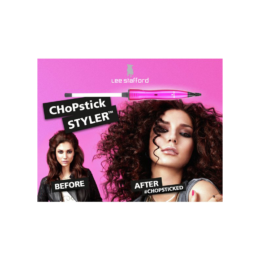 Buy 2 get the 3rd free on selected hair care. The Grow Gorgeous range is fantastic – our first choice of hair care products for its benefits. But if you can’t quite stretch the wallet, the Soap and Glory Wonditioner hair care mask – is a bargain. : £9 for a great hair treatment which looks cute and girly. And lastly, we know it’s not hair, but Boots’ little bags and selection boxes of neatly packaged beauty and skincare products are pretty nice too – see them in the Boots Beauty Gift section.